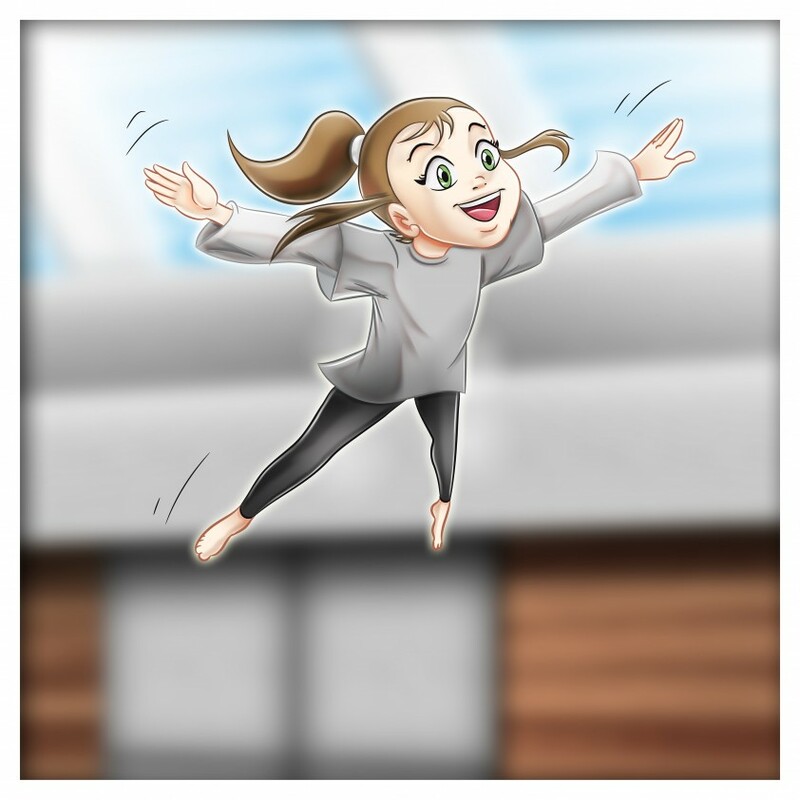 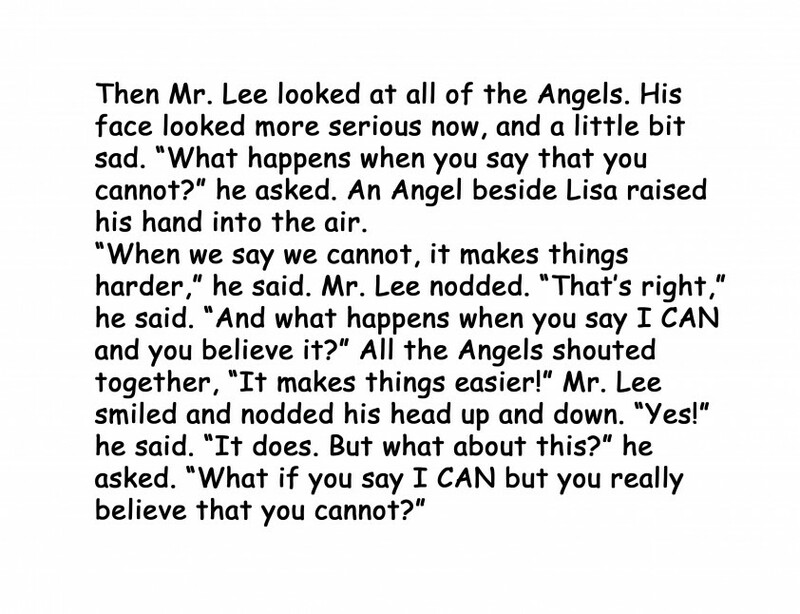 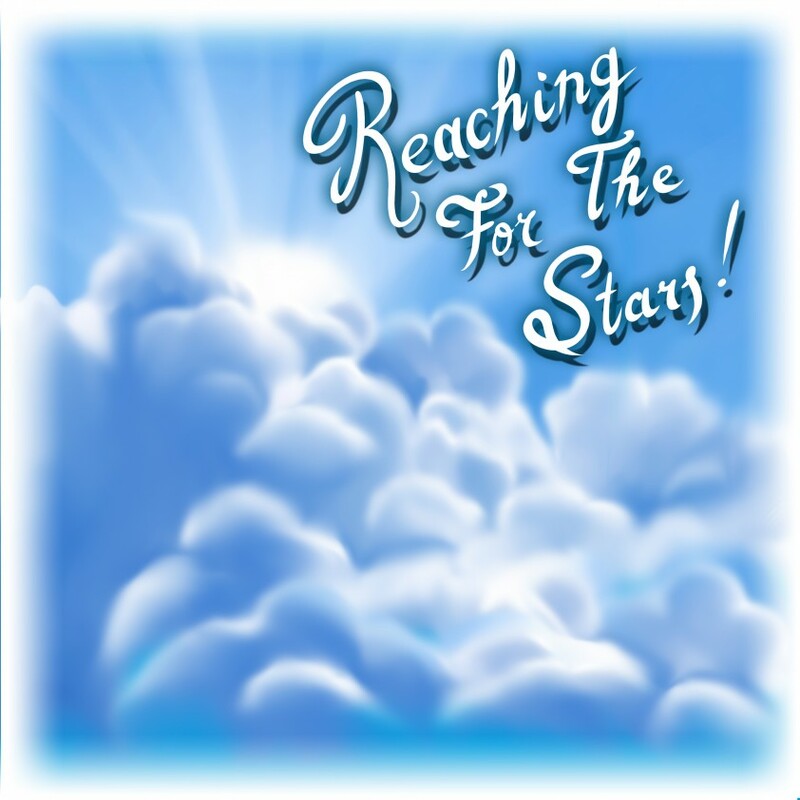 Teaching Angels to Fly – I CAN. 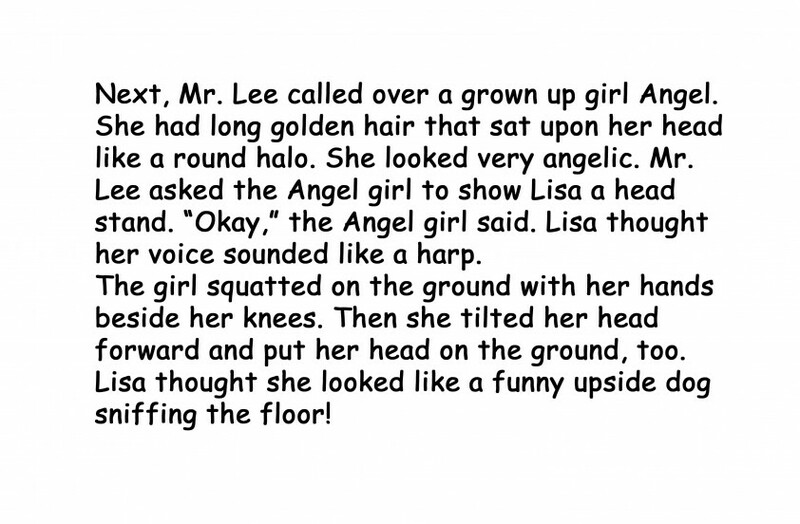 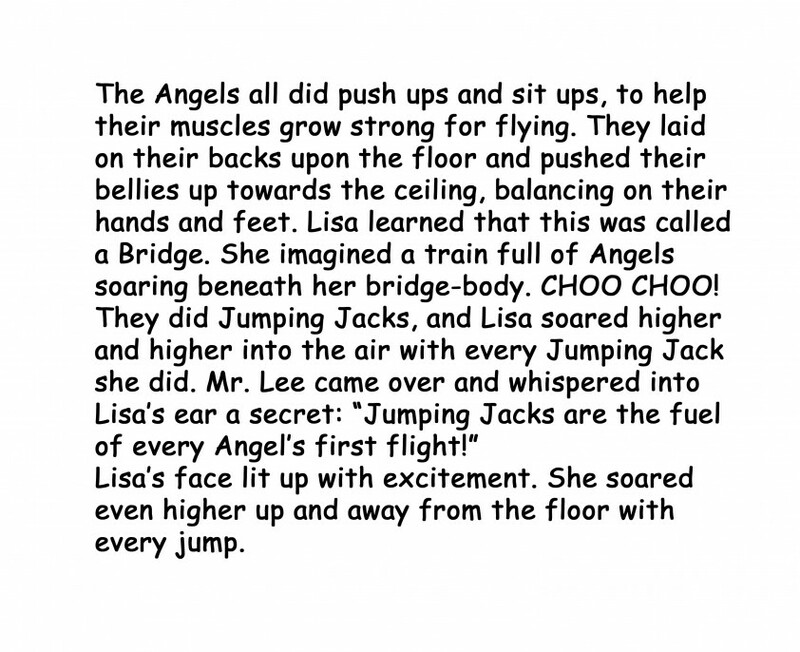 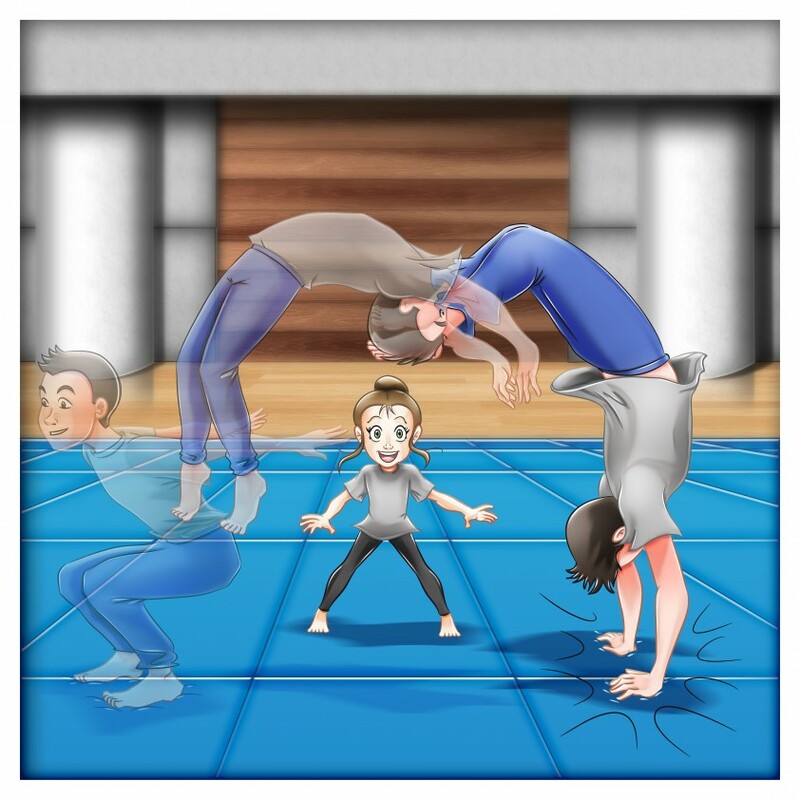 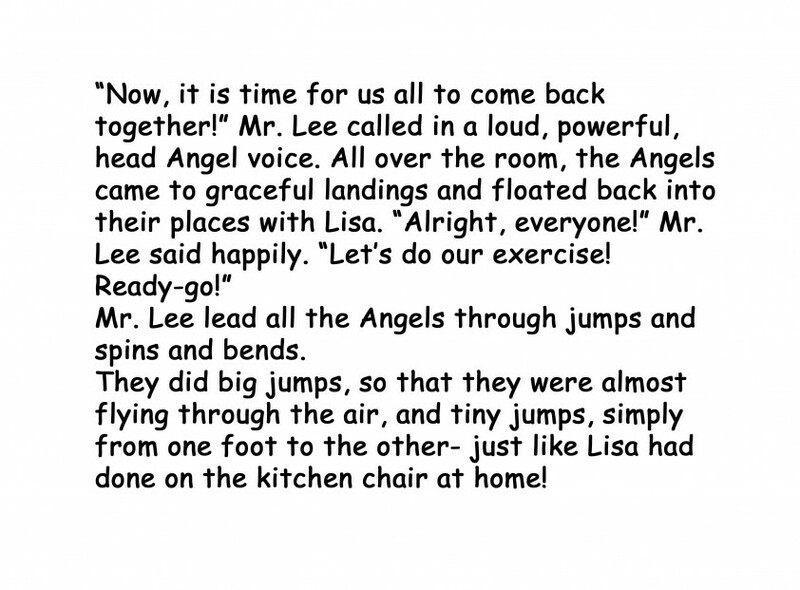 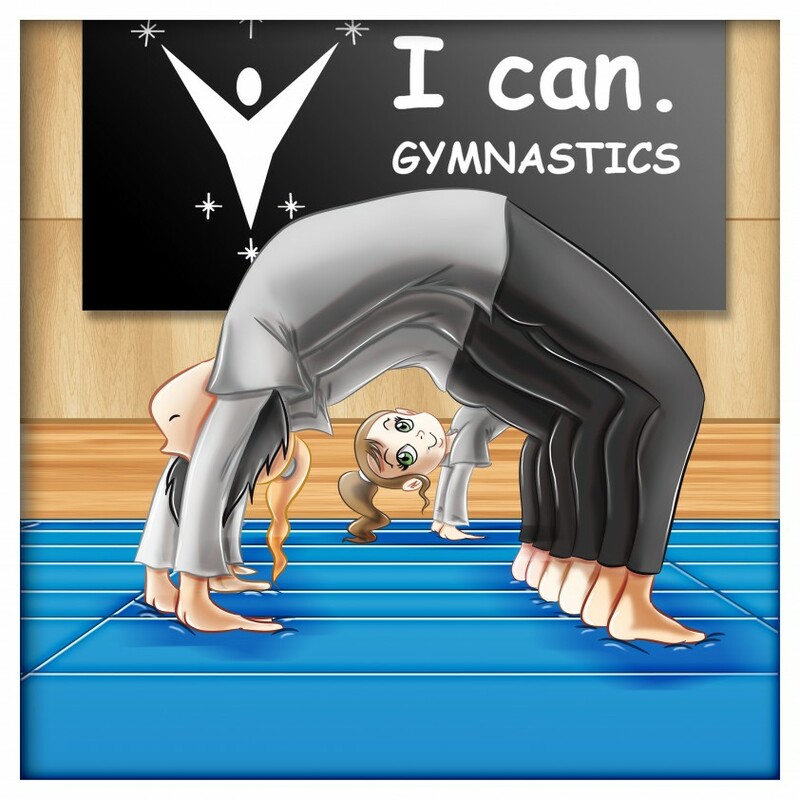 Lisa and Lance are going on a journey through “I Can” Gymnastics Program. 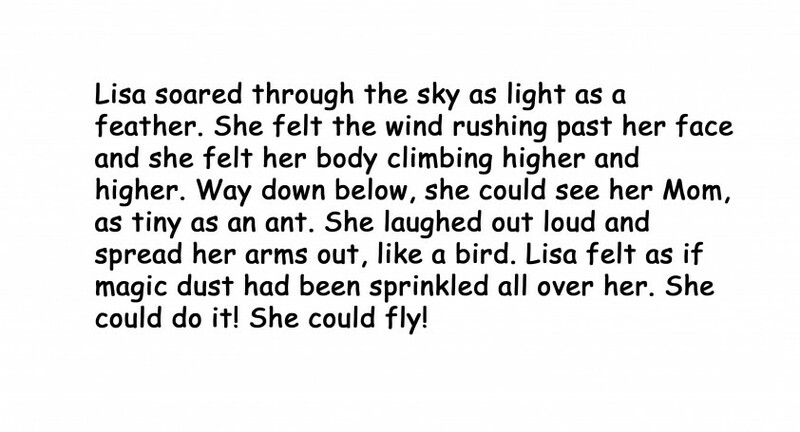 The beautiful illustrations bring this story to life. 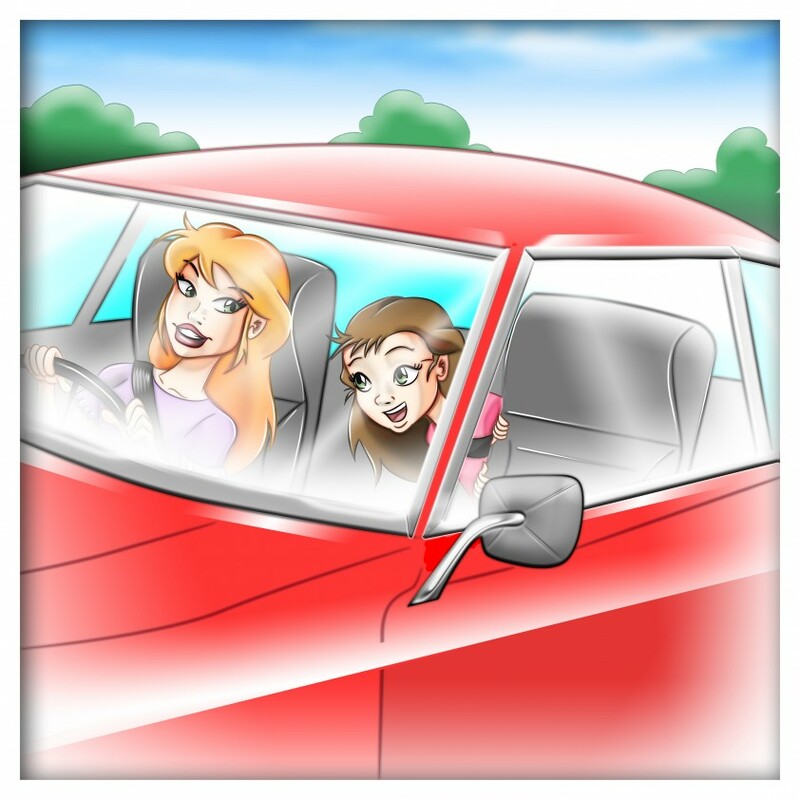 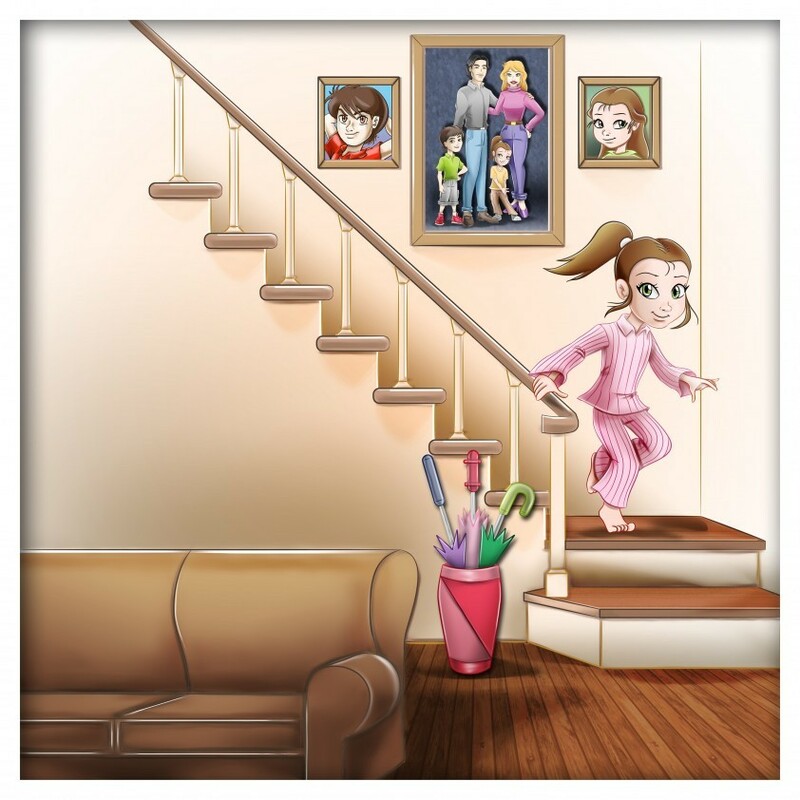 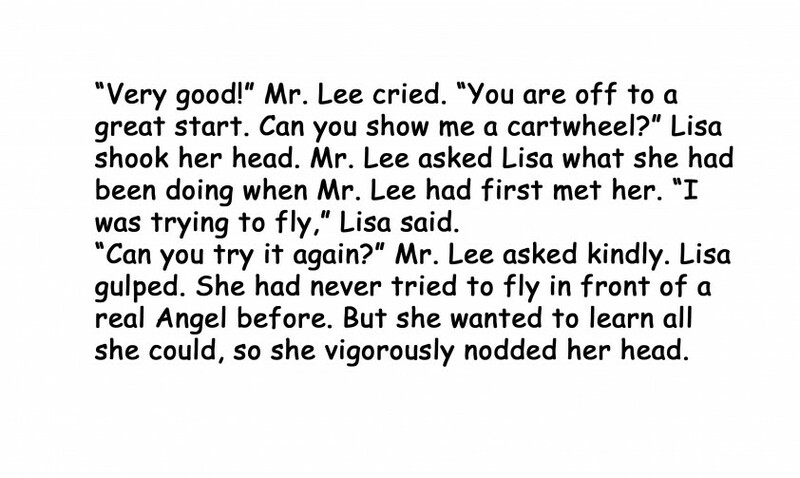 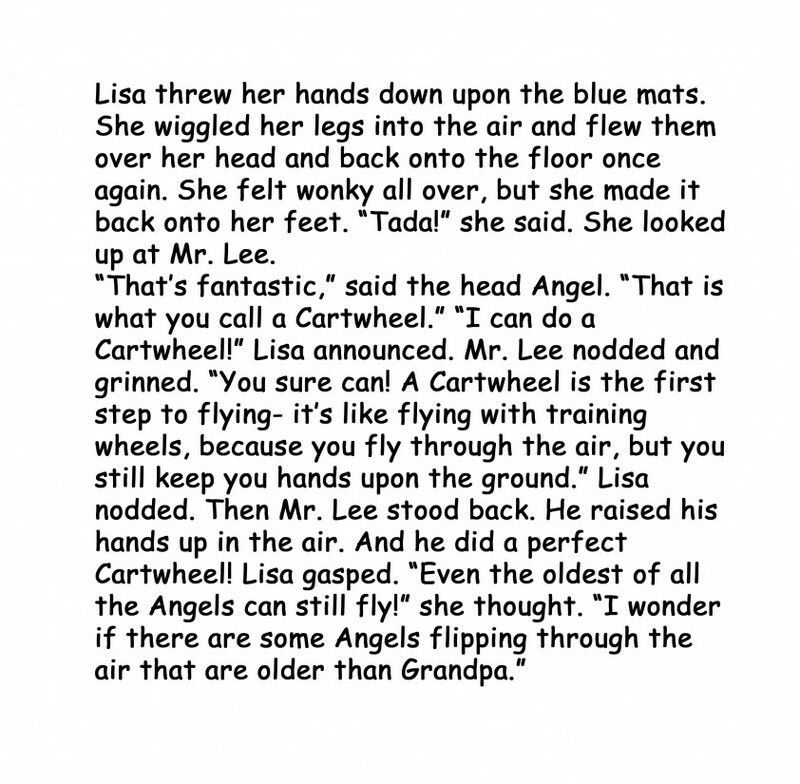 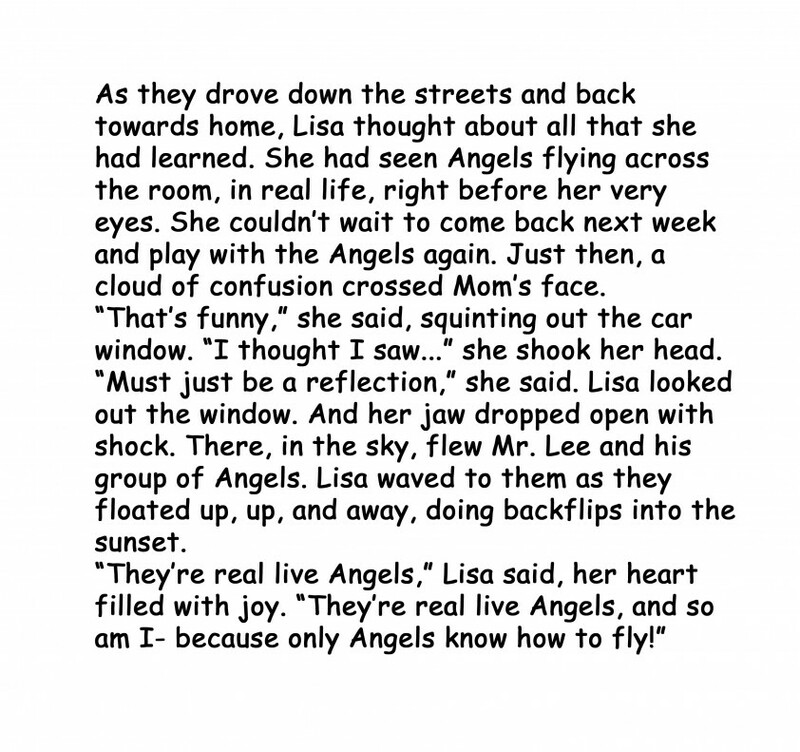 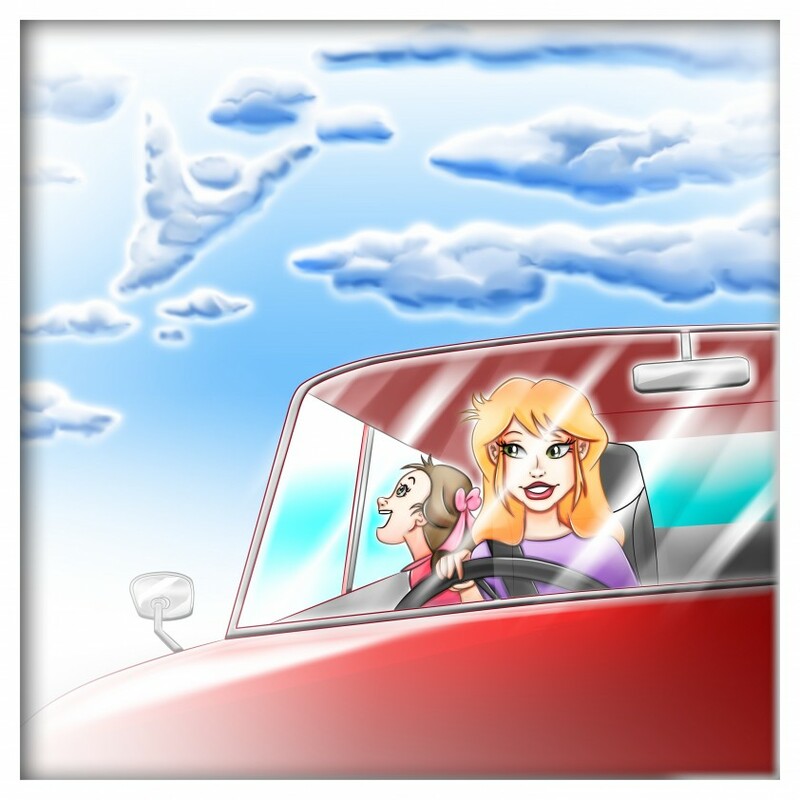 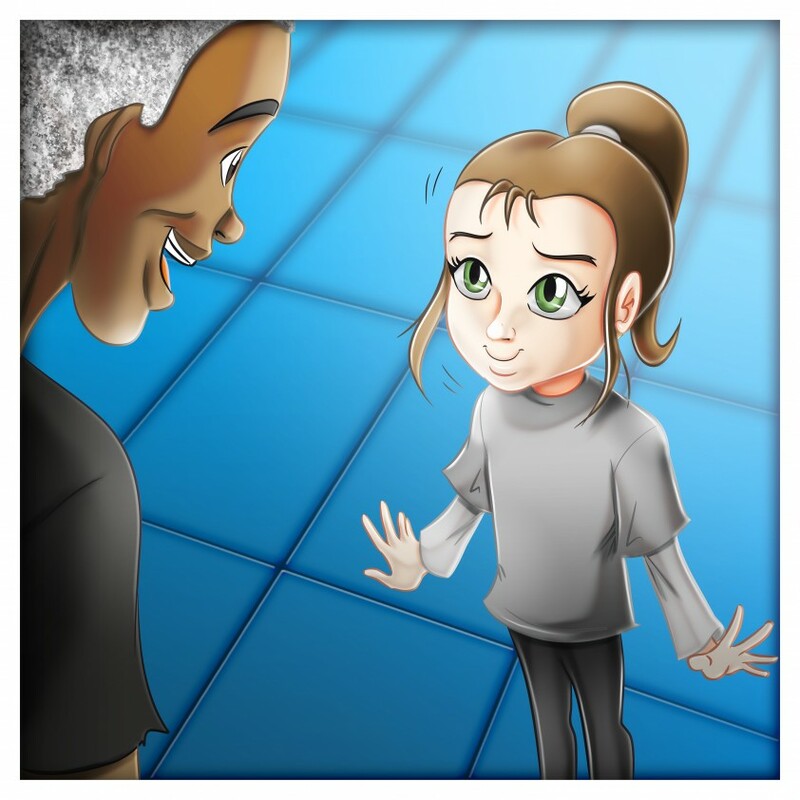 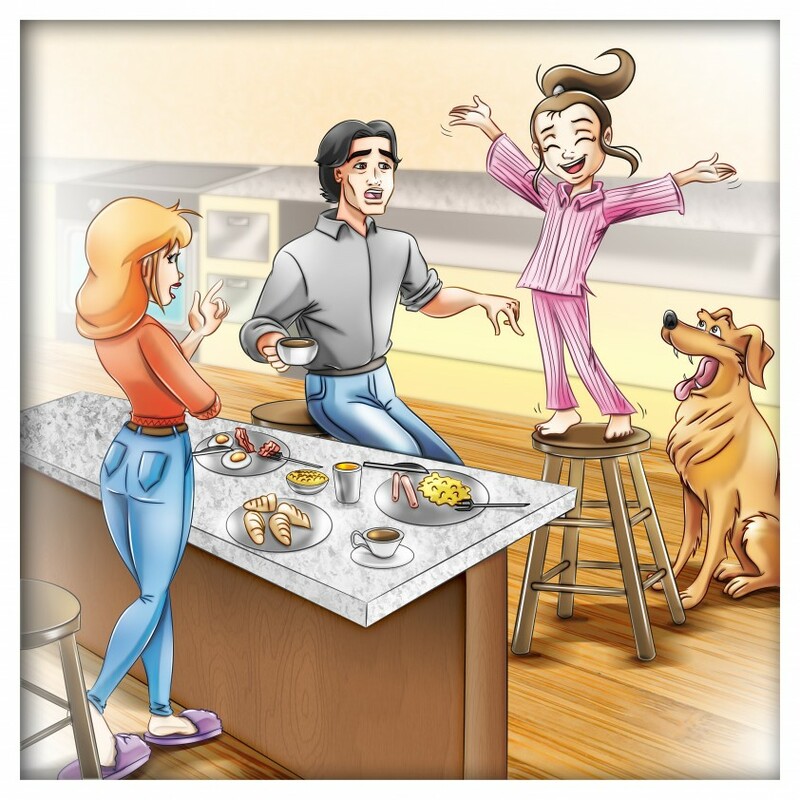 “Teaching Angels to Fly” is the first book in the seven-book series. 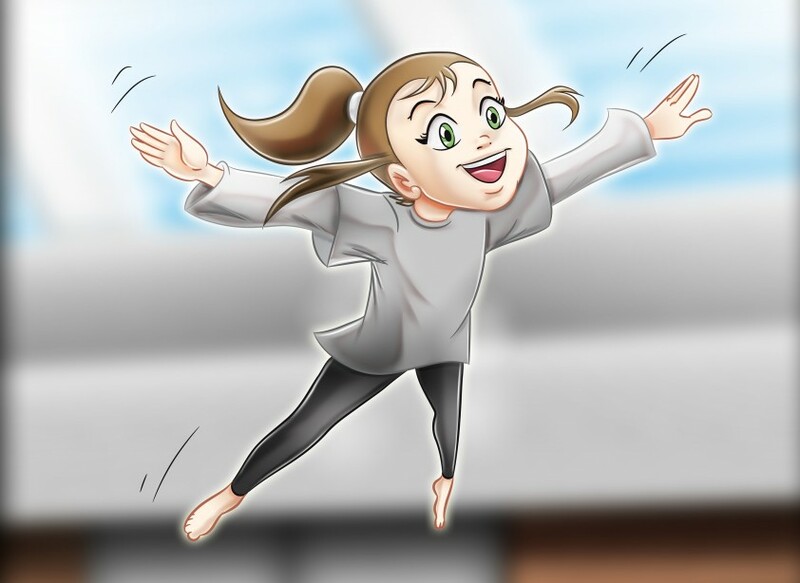 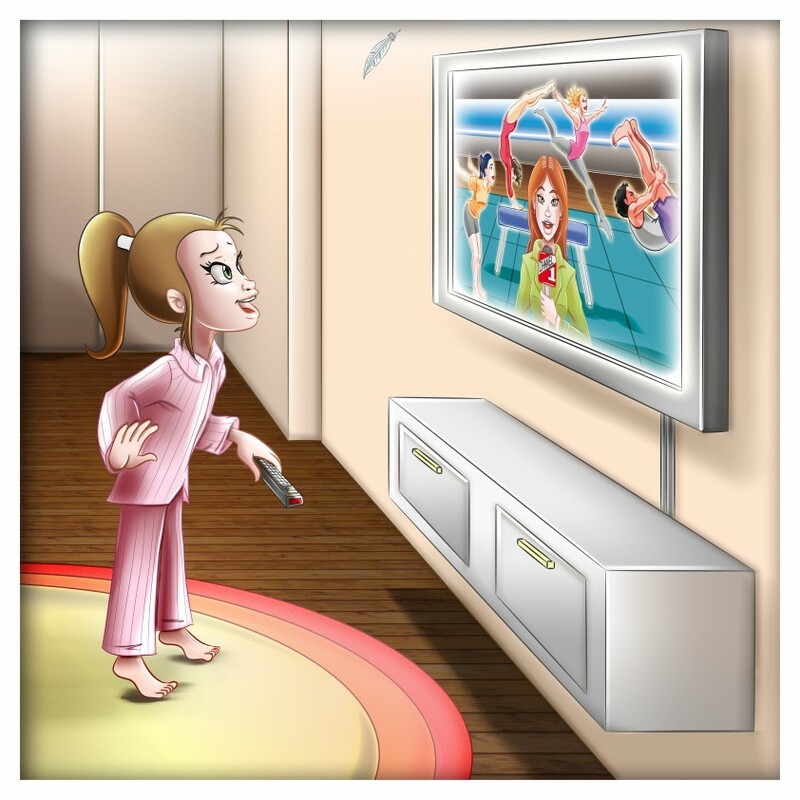 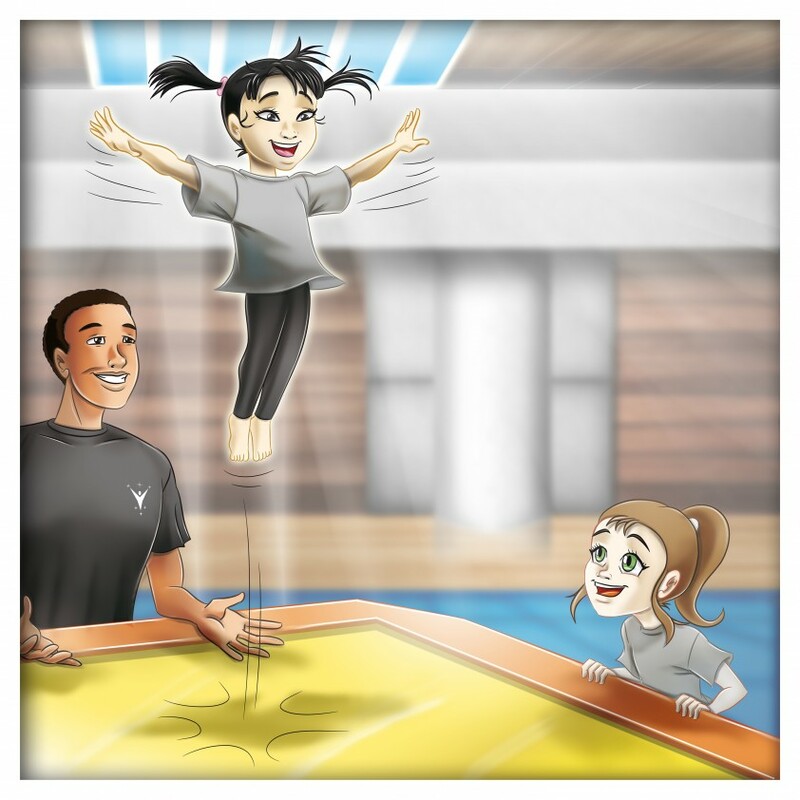 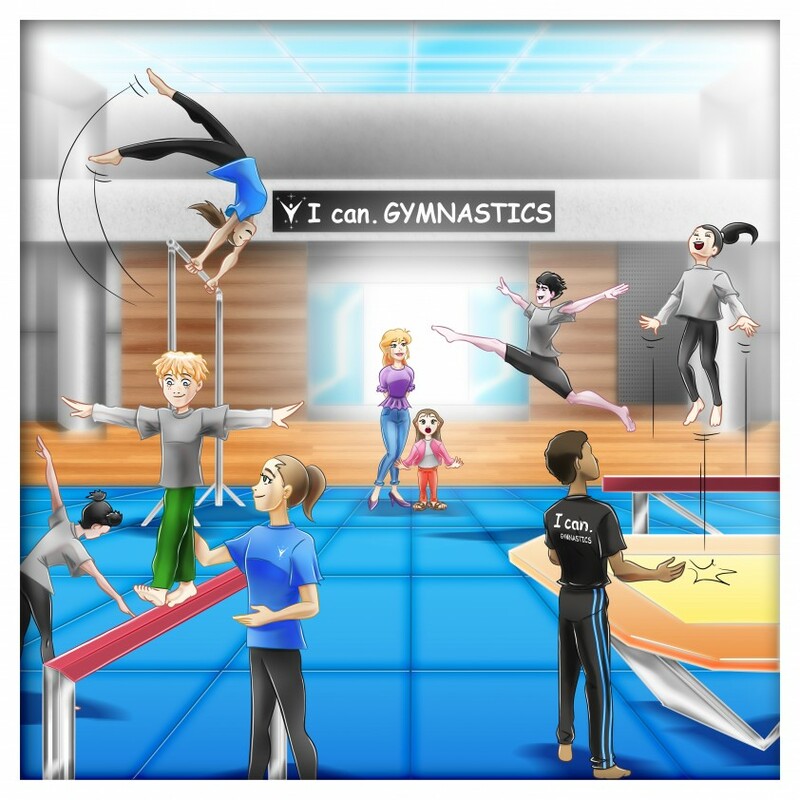 Discover as you read it is not only about gymnastics it is also about building confidence. 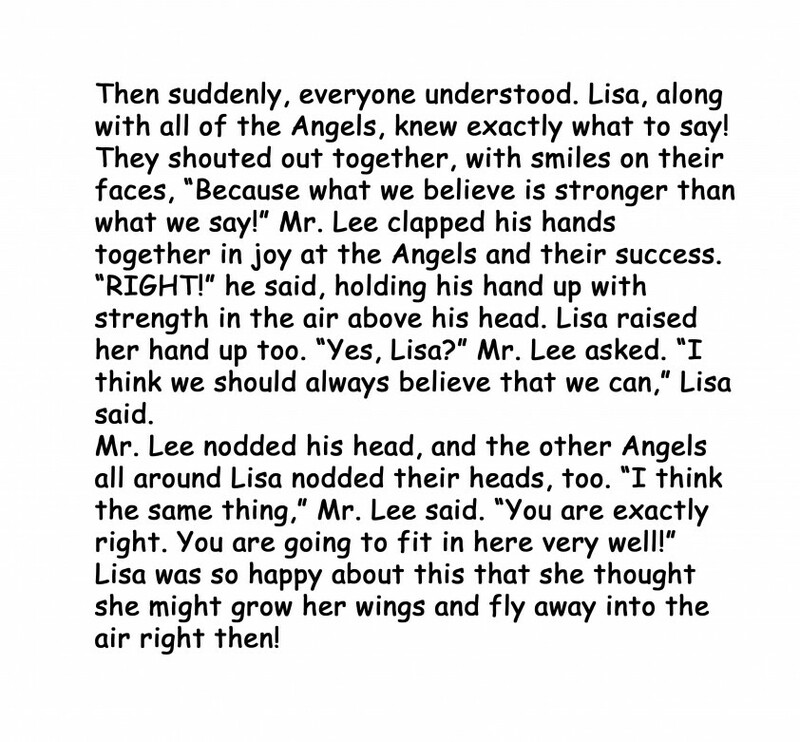 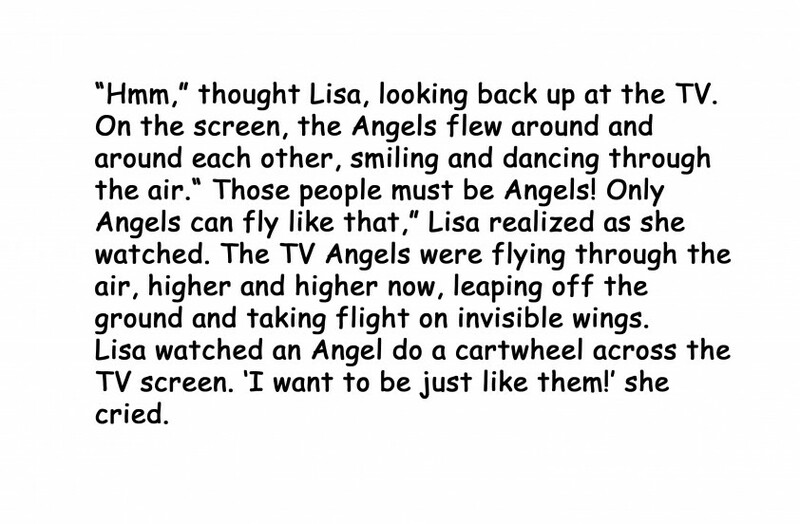 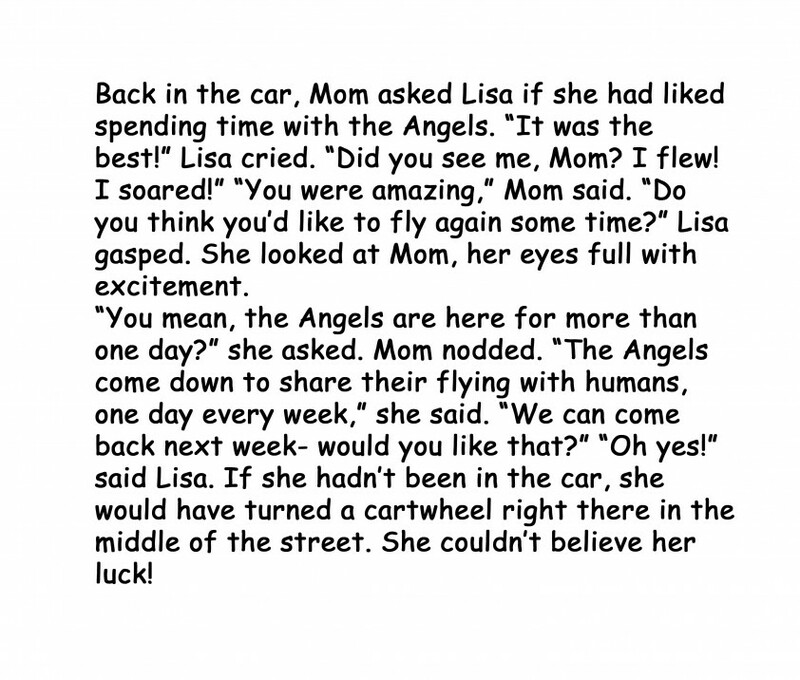 Lisa and Lance eventually find out that not only are their parents Angels but most of the people they come into contact with are also Angels. 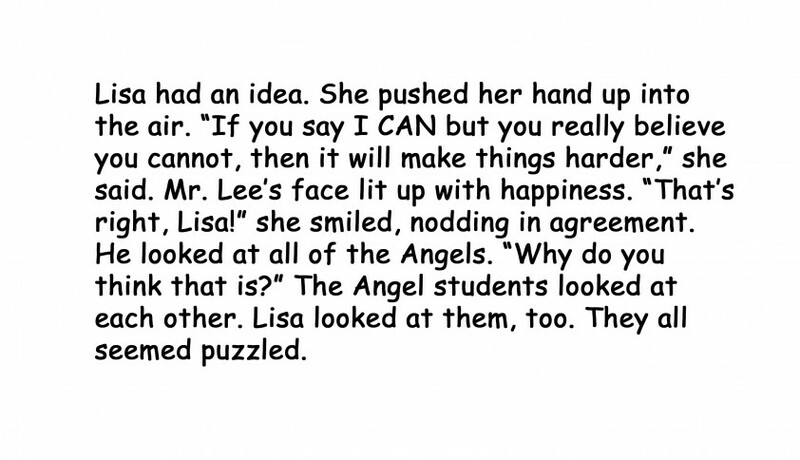 Each book ends with a hint. 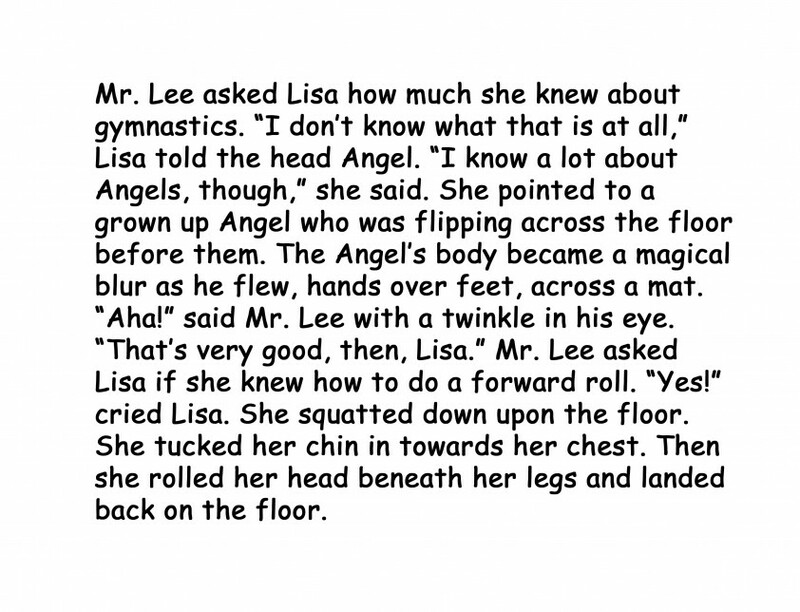 Thank you for taking the time to read to the end. 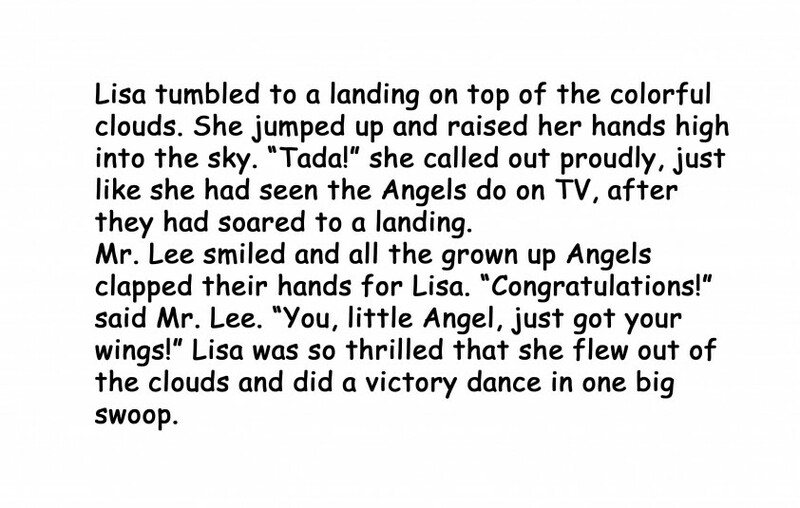 I truly hope you found this book as enjoyable to read as it was for me to write. 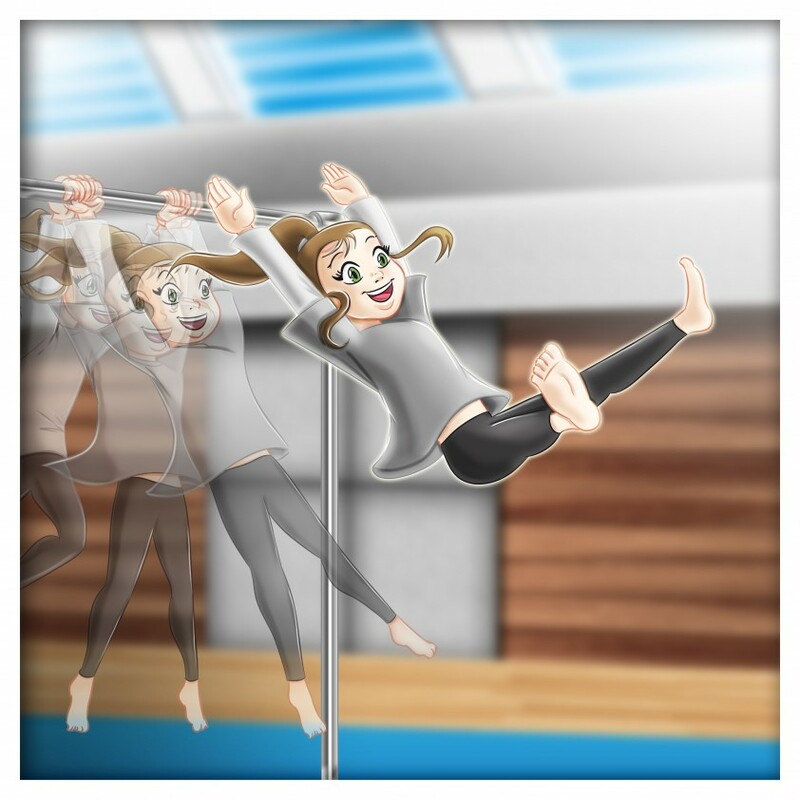 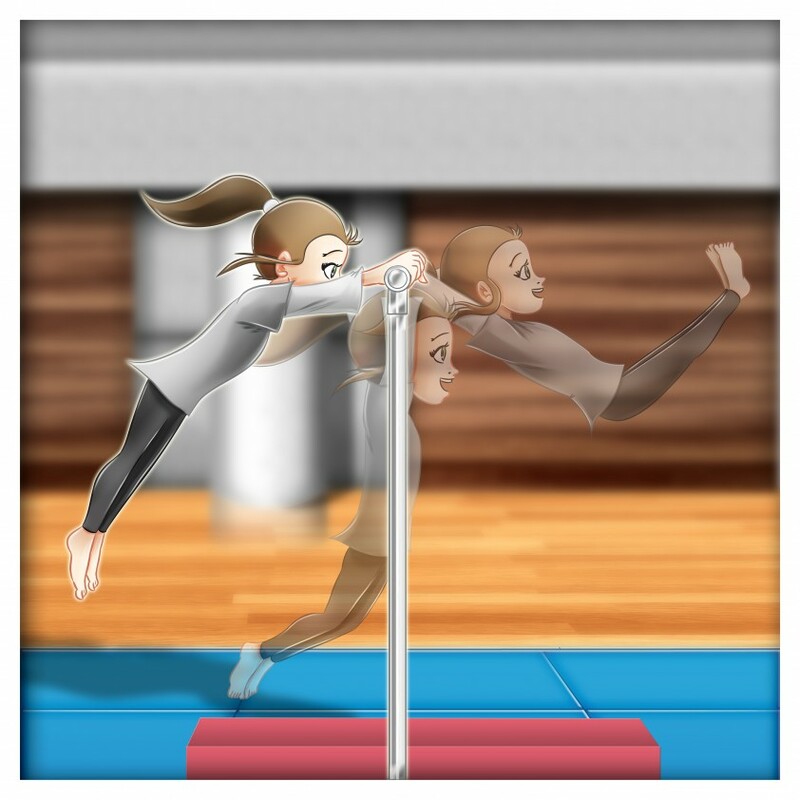 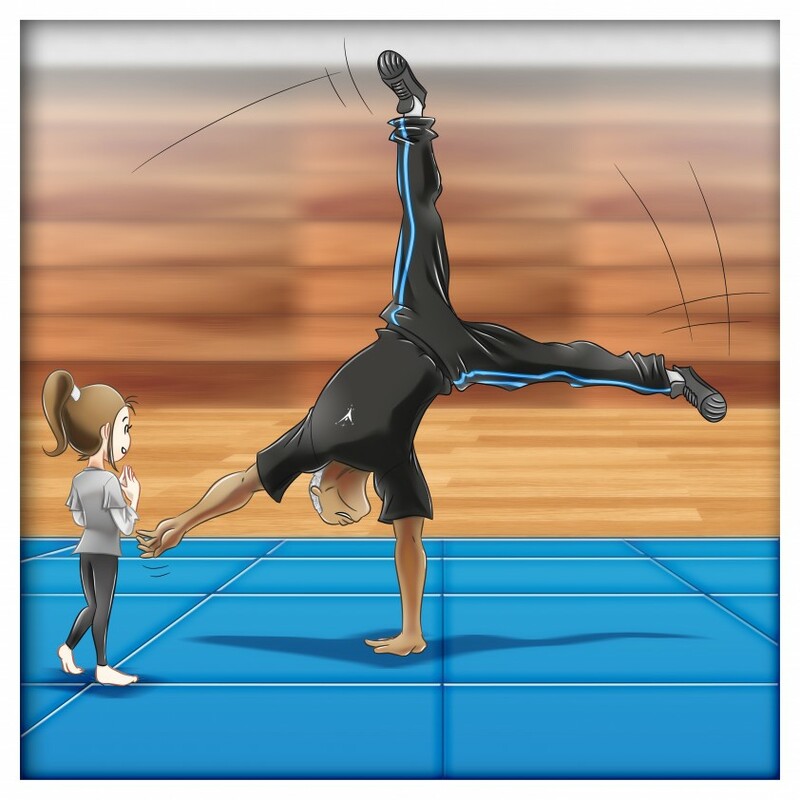 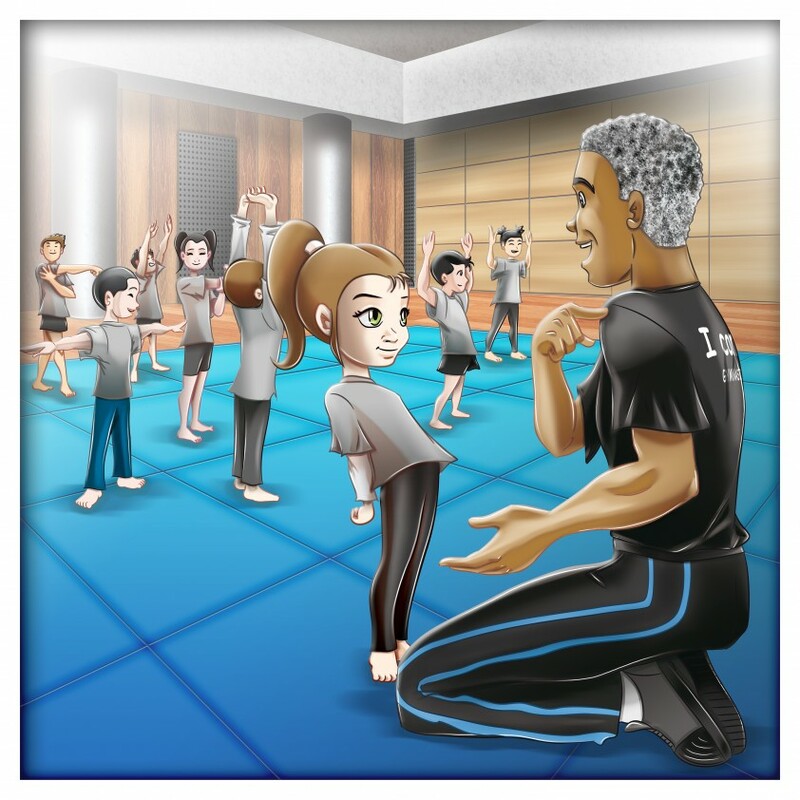 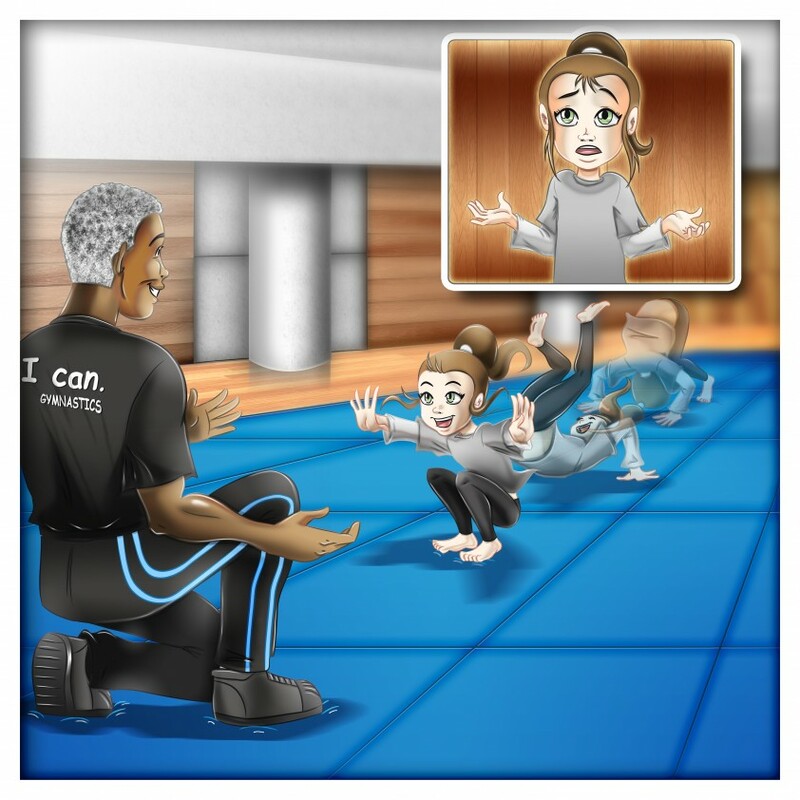 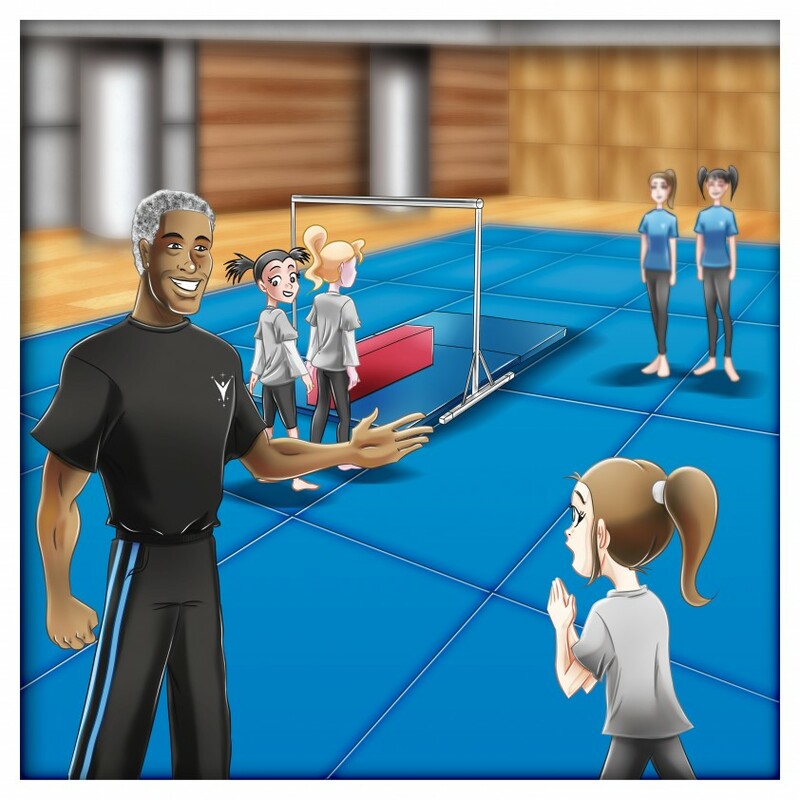 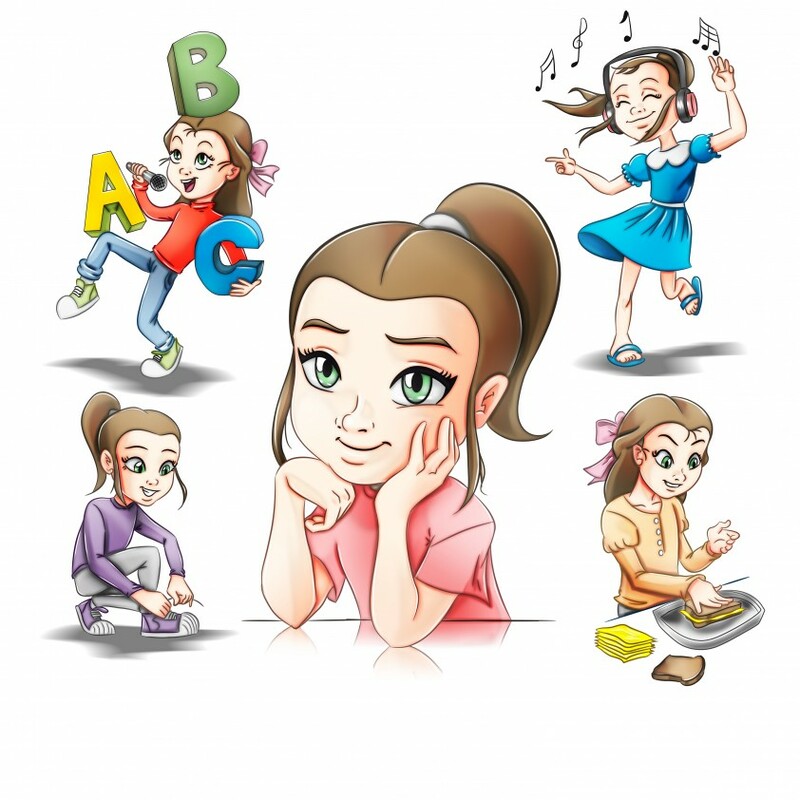 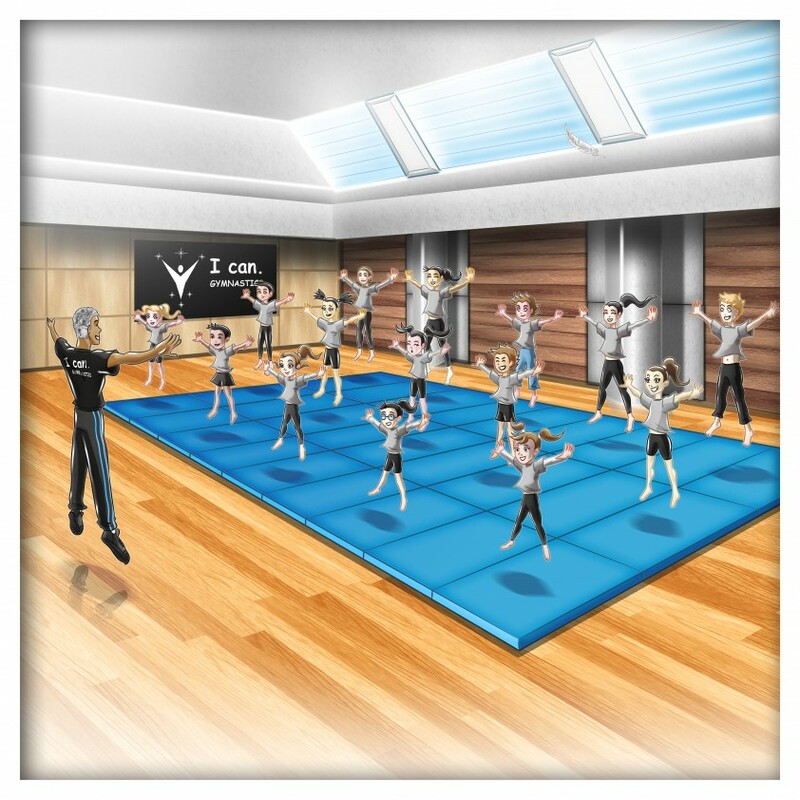 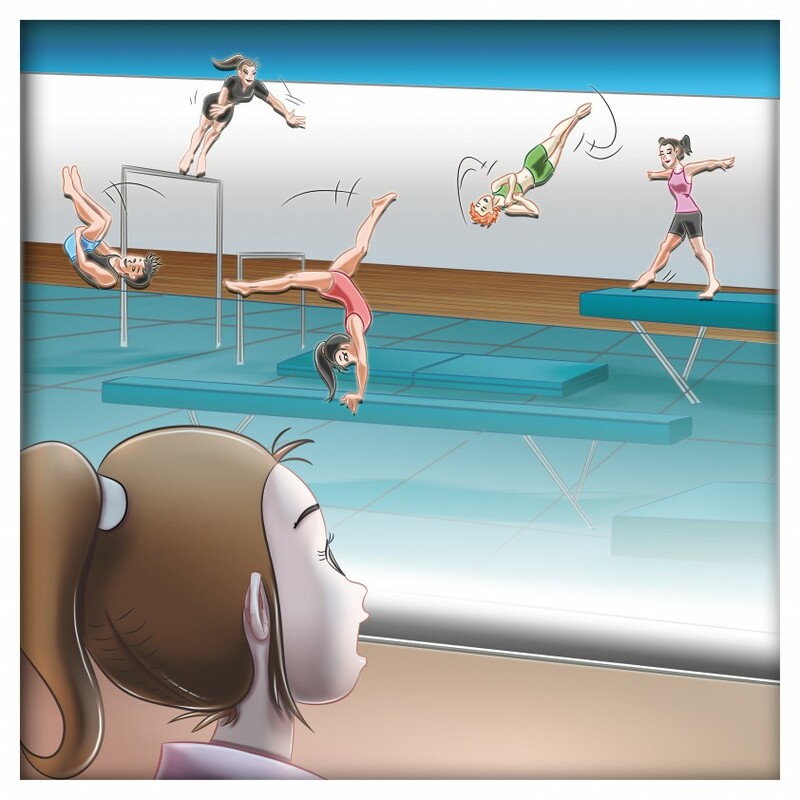 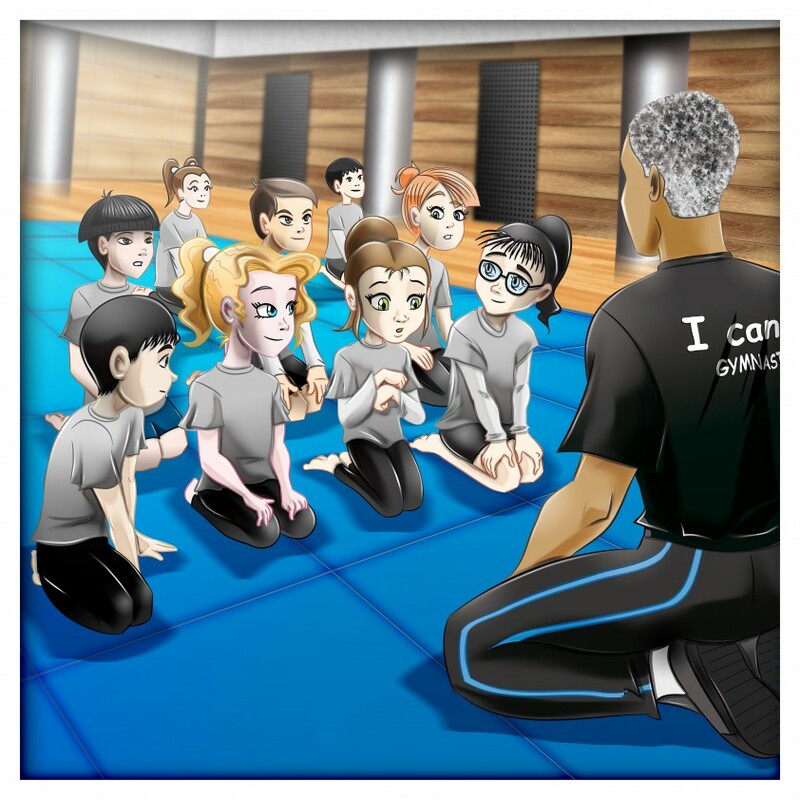 I have been teaching gymnastics to children for more than 40 years, at international schools using an I can philosophy and building confidence in hundreds of families from over 60 countries. 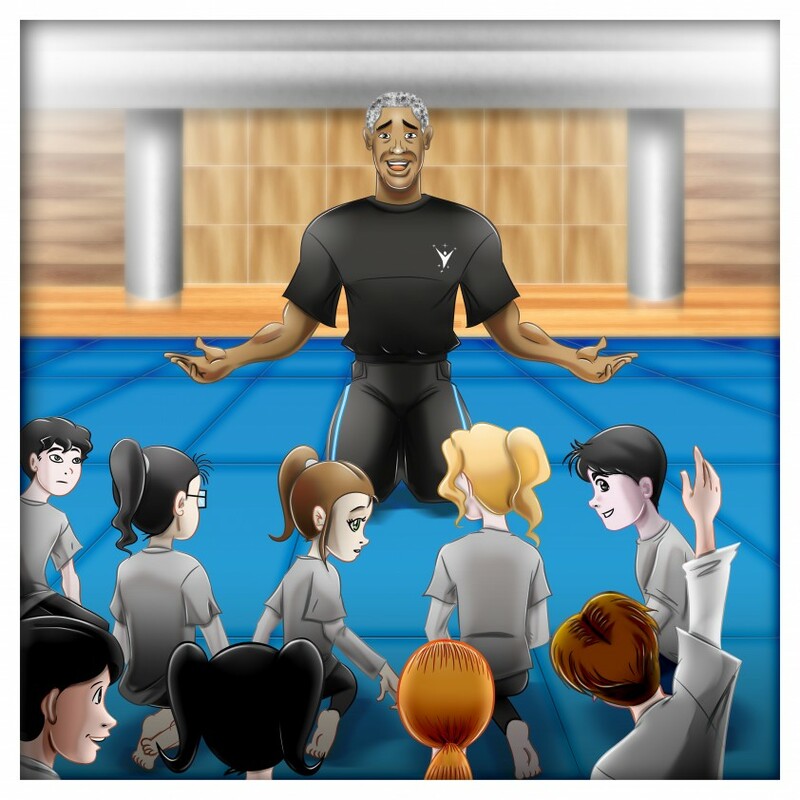 This philosophy has helped me throughout my life to learn from and overcome many of life’s challenges. 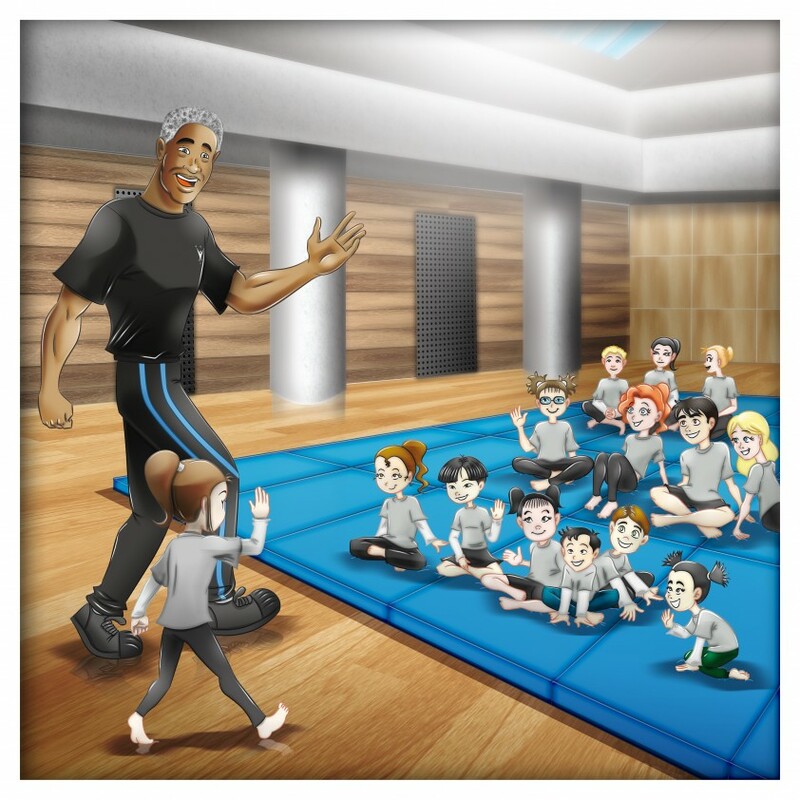 Through teaching and also being a father of four, I have learned that parents are continually planting seeds of confidence in their little ones. 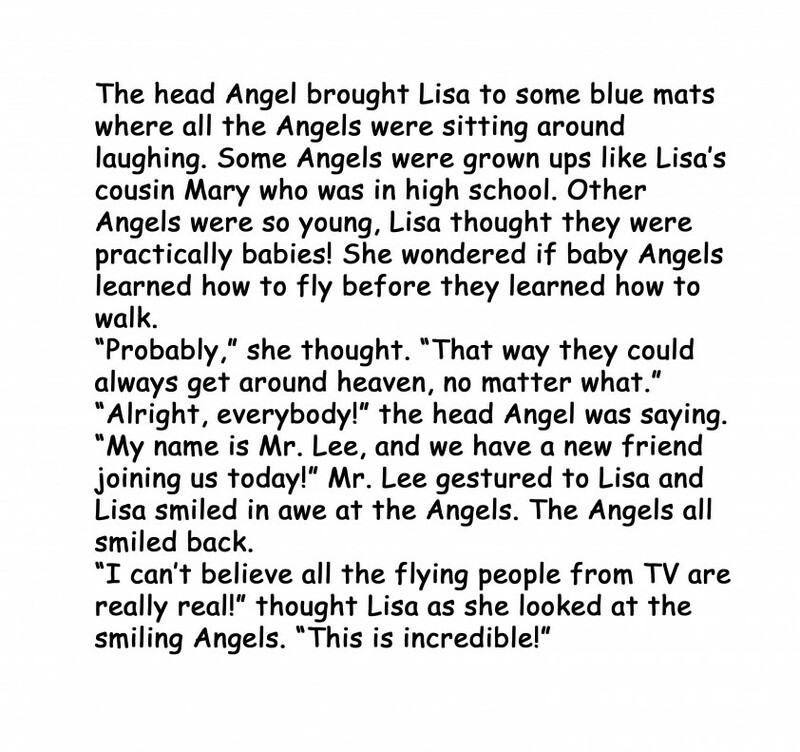 I truly hope this book in some way helps those seeds to grow. 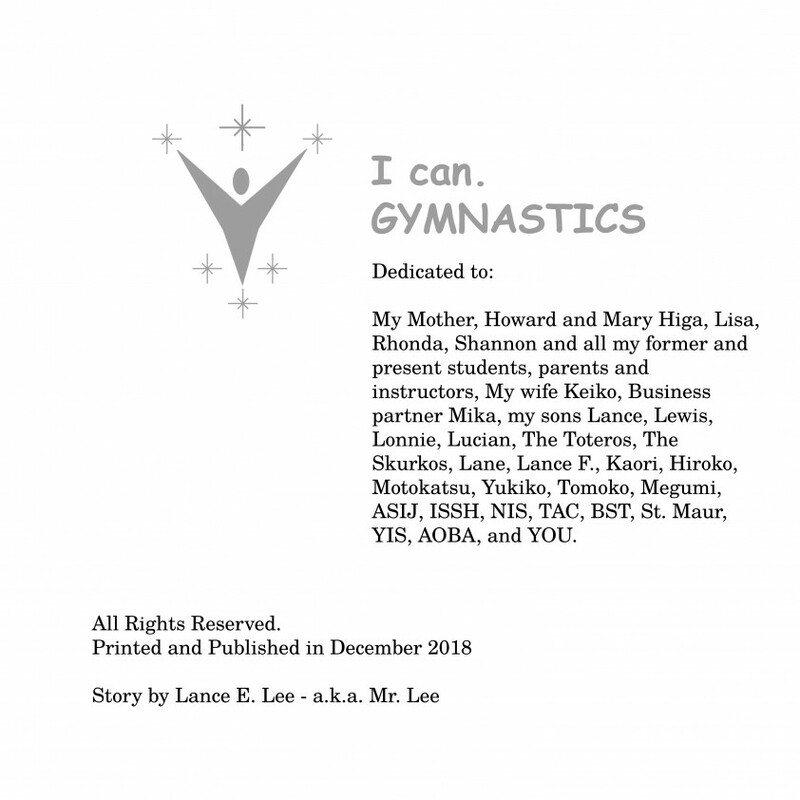 Born and raised in Los Angeles, California, Lance E. Lee was a competitive gymnast for three years in high school and one year in college. 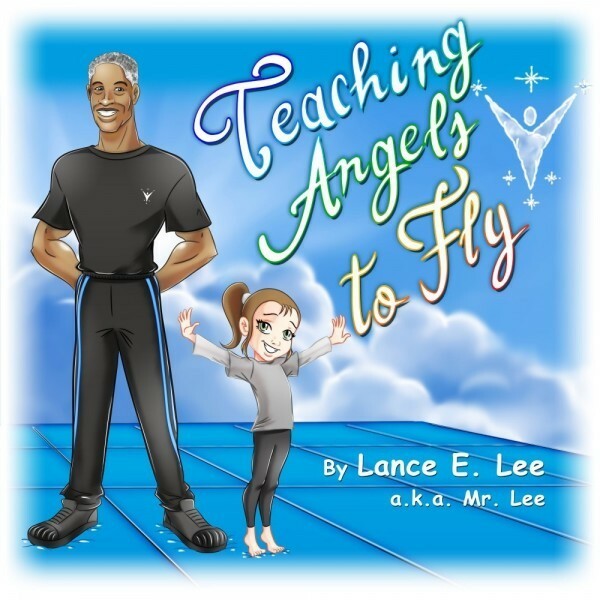 Drafted at age 19, Lance joined the U.S. Air Force. 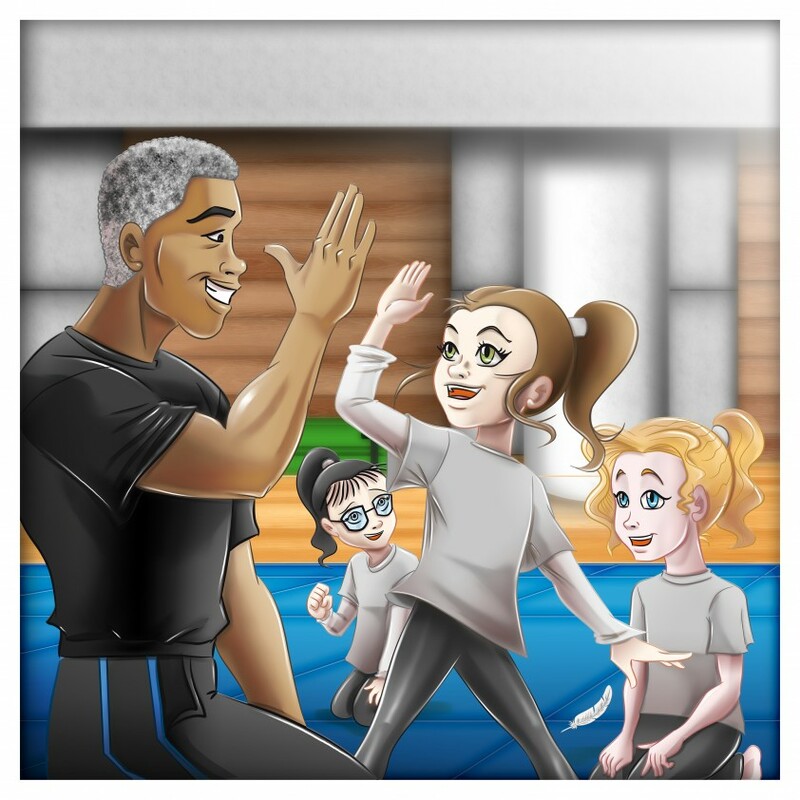 After several assignments, he landed in the “Land of the Rising Sun.” Now living in Japan for a little over four decades, he has a beautiful family and blessed with four sons and an established career as an independent business owner and is extremely involved in the international social and business community of Tokyo. 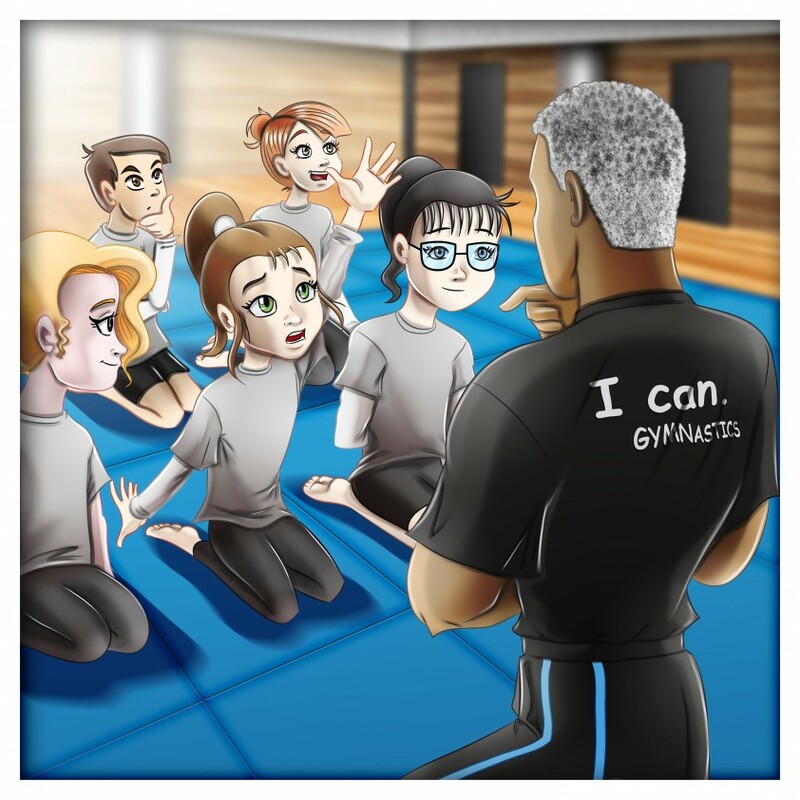 He started teaching gymnastics professionally in 1975 and taught physical education at several International schools in Tokyo, then eventually founded International Gymnastics Club because of the confidence he developed and his love for the sport, using gymnastics as a vehicle to instill confidence in his students, along with an I can attitude. 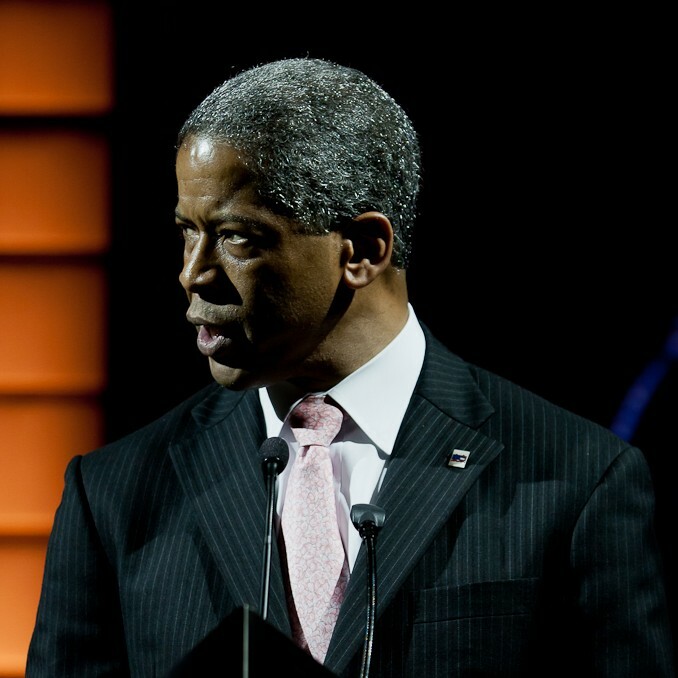 Lance was the first independent business owner to become president of the American Chamber of Commerce in Japan (the second largest in the world), and then became president of the Tokyo American Club (an award-winning private membership club), being the first to have ever been president of both organizations. 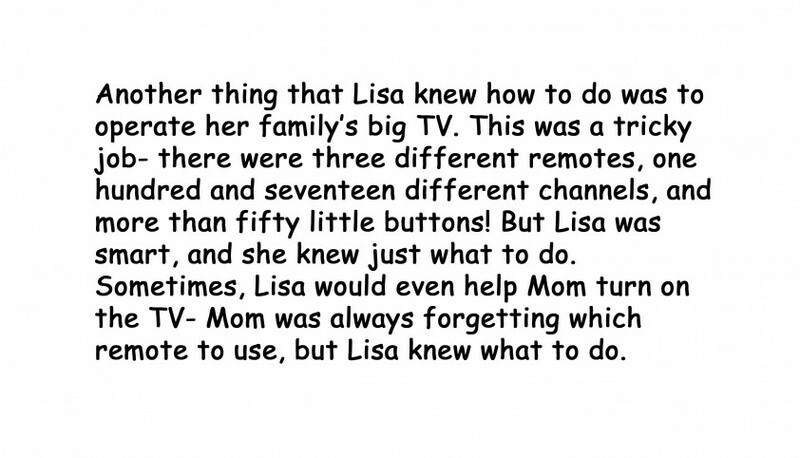 Lisa will return with her brother as they learn more skills and build their confidence.